I got my first tattoo when I went home (Maine) last month. 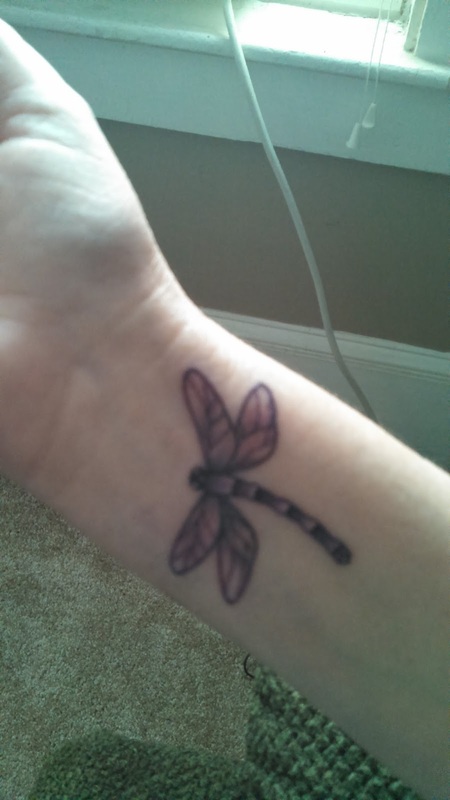 One of my best friends and I decided to get matching dragonflies on our wrists. Came out a little bigger than we intended but it's beautiful! Next year we're going to get matching ladybugs. Much smaller right above the dragonfly. I have to admit, getting a tattoo hurts like hell. Yet I'm so glad I did it. My friend doesn't know how much time she has left. She has a rare form of cancer, so rare that only 1% get it and no one has lived past five years. We wanted to do something special together, and I wanted something that would always remind me of her.